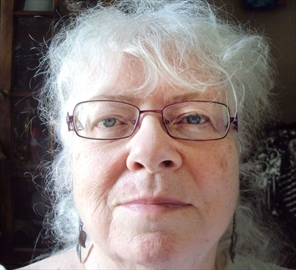 McDONALD, Jane Carole Ann, née Williams July 4th, 1946 (Toronto, ON) - March 26th, 2019 (Kirkland Lake, ON) Jane is predeceased by her parents Wilfred and Anne, her younger brother, Rick; and is survived by her adoring husband, John; brother, Tom; her children, Elliot, Cori (David), Jill (Rob), Melanie, Sara (Stan), Jake (Luana), Jade (Aaron); grandchildren, Chris (Heather), Patrick (Trish), Qera, Jenna, Phoebe, Sylvia, Ozzy, Jessica (Chris), Micah, Blake, Kyran, Mariah; and ten great-grandchildren. Jane was the type of person you could call anytime, day or night, and speak to about anything on your mind with no judgement. She had strong, educated opinions but would never force her point of view on others and instead was always up to engaging in a lively constructive discussion. She was feisty, sassy and had incredible wit, and had a way of describing things that made you want to sit up and pay attention. Her husband John was her best friend. She meant the world to John and he meant the world to her. They existed in this world as a counter-balance, harmoniously as a perfect pair. John would say his life didn't truly start until he met Jane. Jane went back to school in her early 50's, receiving a diploma from George Brown College, a Bachelor's degree from Trent University and finally her Master's degree from the University of Victoria. Her time spent working at the Brock Mission was reflective of her giving nature, where she made lasting impressions on many lives. Jane had more family than anyone else in the world, because she adopted so many people into her life. She accepted every person for who they truly were, with empathy and understanding. She will live on in the hearts and actions of her surviving family and anyone whose life she touched. Everyone is welcome to come celebrate the life of Jane at the Mount Community Centre on Sunday April 7th, 2019 from 3pm to 7pm. The family will be sharing their thoughts and memories at 4pm. 1545 Monaghan Rd. Peterborough, ON 3pm-7pm. Flowers are welcome, as Jane loved her garden, however memorial contributions may be made to the Brock Mission.